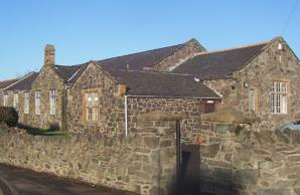 This picture shows the stone building which was the original school, established 1n 1837. The modern school was built on the site behind it in 1975. The school is controlled by the Local Education Authority who recognise the Church of England’s foundation of a school in Shepshed. The school is situated on a shared campus with Iveshead School (formerly Shepshed High School and Hind Leys College). Children start our school when they are 4 and transfer to Iveshead when they are 11. There are currently 287 children on roll. In the Summer of 2009, the School had 1.3 million pounds spent on refurbishment under the Government’s Primary Capital Project. We are now lucky to have a very vibrant learning environment. Our catchment area consists of both private and rented housing, however children attending St. Botolph’s come from all of Shepshed and beyond. The school underwent an Outstanding SIAMS inspection in March 2016 and a successful OFSTED in May 2016 .